The tale of one hounded soul’s late growth to manhood in a country grown ugly. 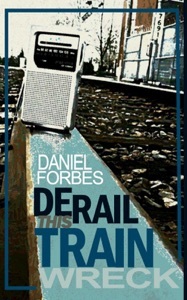 Daniel Forbes embarrassed the White House with his published revelation that it paid millions to the TV networks to rewrite their scripts; he subsequently testified before the House and Senate. His journalism has won awards from Columbia University, the Society of Professional Journalists and the Drug Policy Alliance. This novel was sparked by an NYPD assault and his successful free-speech lawsuit against Lincoln Center and the cops. Daniel Forbes is a "brave citizen." I hope he "can somehow make a difference."